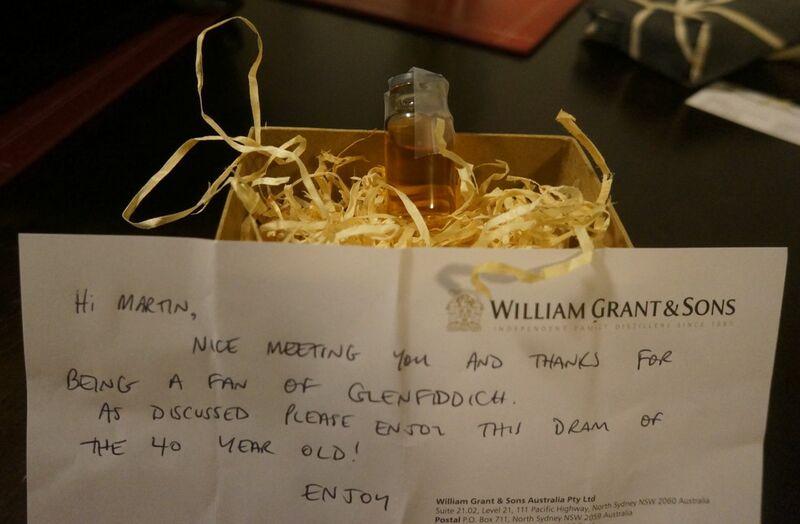 It's not too often you get to taste a 40yo whisky (especially one that retails for $3,299AUD per bottle), but thanks to the very generous blokes from William Grant & Sons Australia (who I shared a long chat with about all things 'fiddich at a recent Shirt Bar Scotch Club), that's exactly what I did recently. Two days after the Scotch Club, a hand-delivered package arrived at work containing a taste of the highly-regarded Glenfiddich 40yo. Wow, I'd been told to expect "something special", and this exceeded my expectations. Certainly rarer than anything I'd ever tasted before. 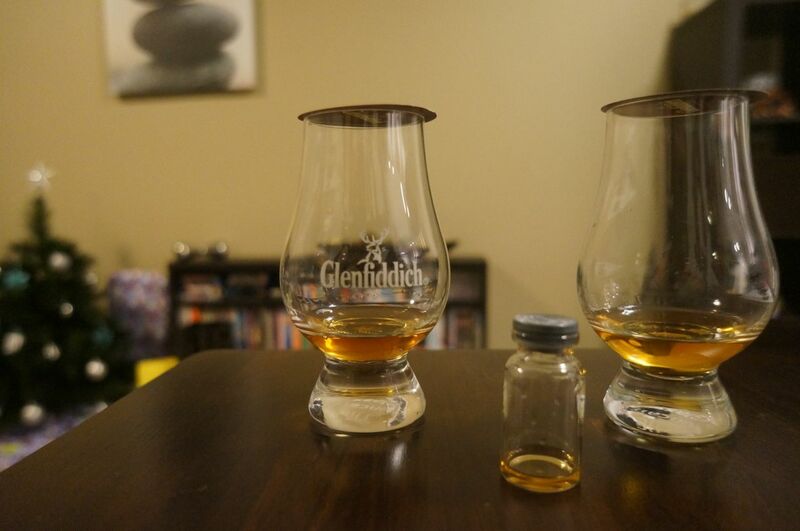 With the Glencairn glasses charged, and most of the 15mL taste poured out (I had to leave a few mL for my best mate) it was time to try the 40yo. Nose: Big, leathery, reminiscent of an old leather lounge. Aged oak, rich dried saltanas. Incredible. In comparison, the 18yo (right, below) is harsh, brash, and just smells young and fresh (a pity really, given the 18yo is a great dram on its own). Palate: There's that oak again, and the leather. And more. So complex, so much going on here. Not to get too wanky here, but if I had a grandfather who owned an old leather chesterfield in a room filled with 'rich mahogany", and I was sipping whisky, sitting there there, soaking up the atmosphere...this would be the whisky. I cant think of another whisky that has ever "transported" me somewhere, yet this has*. This is a very, very special whisky. After some time, the raisin/saltana taste comes through, and the smallest hint of smoke towards the end. The 18yo is all about the spice, toffee and a hint of pear. A tasty drop, sure, but not a touch on the richness or complexity of the 40yo. Finish: So incredibly long (I think it's still going as I write this). Oak and leather. Just incredible. A hint of peat too, as with the palate. I'm nosing the glass 25 minutes later and the nose still has all these characteristics. The 18yo in comparison is over in the time it takes to read this sentence. Enough said. Wow, there it goes - the most special whisky I've tried, ever. It's going to be a tough one to beat. Rating (on my very non-scientific scale): 98/100 (18yo: 93/100). 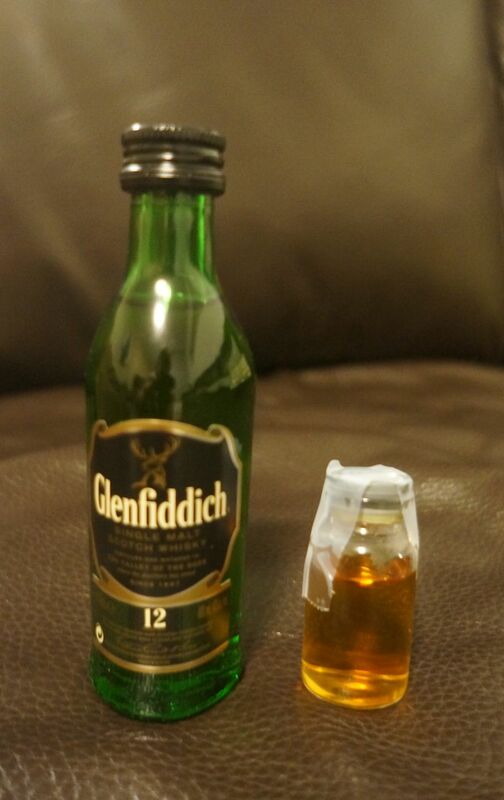 *Actually I lie - there is one other whisky that instantly transports me somewhere, but for the wrong reasons. Ballantine's reminds me of my Schoolies cruise, over a decade ago (even the excellent 30yo, unfortunately, which to me still has that painfully obvious Ballentine's taste). Thank you for this. I have never tried anything older than a 15yo, but after reading this I think I shall have to look out something older. I have shared this on facebook too. Thanks! Always great to get feedback. There are certainly some great old whiskies out there, but we can't discount the younger ones either. Age is just one factor in making a great whisky - cask, environment etc.. also play a huge part. I've tried an amazing Japanese whisky under 5 years old, and plenty of good Aussie whiskies under 10! But there's just something about an old whisky that makes it feel special. This one certainly did!